In Portugal there are two meanings of intellectual property in both a broad and a strict sense. The former covers industrial property – patents, models, trademarks, logos, trade secrets, designations of origin and geographical indications – and the latter encompasses copyright and related rights. Therefore, for the sake of terminological simplicity we will adopt the broad meaning of the expression throughout this article. In the Portuguese legal system, provision is made for both more common intellectual property rights – patents, models, trademarks, logos, designations of origin, geographical indications and copyright – and less common rights, such as topographies of semiconductors and plant variety rights in the law. Finally, we have trade secrets or know-how that, despite being well established in Portuguese legal practice, were only included in a draft law at the end of 2017. It was in these amendments to the IPC that the transposition, into Portuguese law, of the following legal instruments of the EU took place: Directive 98/44/EC of 6 July on the protection of biotechnological inventions; Directive 98/71/EC of 13 October on the legal protection of designs; Regulation No. 1768/92/EC of 18 June on the creation of a supplementary protection certificate for medicinal products; and Regulation No. 1610/96/EC of 23 July on the creation of a supplementary protection certificate for plant protection products. Although patents provide an important role in intellectual property rights, in our opinion, they do not present the main form of intellectual property protection in Portugal. Portugal is one of the EU countries with the highest number of trademark applications per 1 million inhabitants. 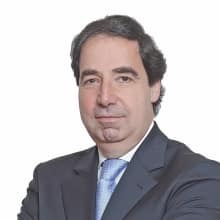 In accordance with the effort that is being made in the implementation of measures of access and simplification to the system of protection of trademarks and patents and, in order to ensure the compliance of the Portuguese legal system with the most recent EU Directives (No. 2015/2436 and No. 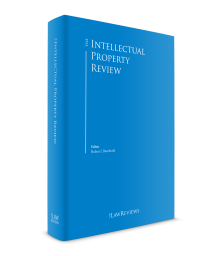 2016/943 concerning the harmonisation of trademarks and the protection of know-how and confidential information), there is currently a draft revision of the IPC for the transposition and harmonisation of those matters. Regarding trade secrets, the draft revision incorporates the transposition of the Directive on the protection of know-how and confidential information (trade secrets) against its illegal acquisition, use and disclosure by third parties, thereby protecting innovative companies and preventing the intellectual assets of these economic agents from being improperly used. In addition to the inclusion of this topic in other articles of the IPC, the draft revision establishes the creation of five new articles on trade secrets. These new provisions concern the definition of trade secrets, the creation of a criminal offence in relation to their illegal attainment and disclosure and, consequently, the definition of what attainments and disclosures can be considered legally justified. A fine is also set for trade secret infringement, starting at €1,000 and potentially reaching up to €100,000. Finally, the draft revision also makes provision for the preservation of evidence when trade secret damages are at stake. Although the subject of trade secrecy is the main amendment, it is still important to mention another change foreseen in the same project. This concerns the end of the ban on double patent protection in Portugal. Article 139(3) of the European Patent Convention gives Member States the freedom to decide whether an invention, subject to a European and national patent, can be doubly protected. This amendment allows for double protection, as was already possible in other countries such as Austria, Sweden or Norway. Trademark protection is regulated by Title II, Chapter 4 of the IPC. Trademarks may consist of a sign or set of signs capable of being represented graphically, namely words, including names of persons, designs, letters, numbers, sounds and the shape of the product or its packaging, provided that such signs are capable of distinguishing the goods or services of one undertaking from those of other undertakings. They may also consist of advertising phrases for the products or services to which they relate, provided they have a distinctive character, regardless of the protection that is granted by copyright. The trademark registration application consists of an application form, the payment of a fee, addressed to the National Institute of Industrial Property (INPI), and written in Portuguese. The application for registration is usually filed online since it is more efficient, expeditious and economically more advantageous for the applicant. In the application, in addition to the applicant’s personal data, the name of the trademark, and the goods or services for which the mark is being applied for must be indicated, as well as the type of trademark in question (verbal, combined, three-dimensional), the colours used in the sign (in these cases it is mandatory to file a graphic representation of the sign), and finally, if the applicant wishes to claim priority over the right, the country, the first application for registration of the trademark and the date and number of that application should also be presented. The application is later published in the Industrial Property Bulletin. From the date of publication in the Bulletin there is a period of two months for any possible oppositions from third parties who are interested in filing them. If there are no oppositions filed, the INPI studies the file. This study consists of the examination of the trademark and its comparison with other trademarks and distinctive signs. The registration is granted if, after the examination, no grounds for refusal have been detected and the opposition, if there were any, is considered unfounded. The trademark registration is valid for 10 years from the date of the decision of grant, and can be indefinitely renewed for equal periods. The design regime is laid down in Title II, Chapter III of the IPC and is defined as the designation of appearance in whole or in part of a product resulting from the characteristics of lines, contours, colors, shape, texture or materials of the product itself and its ornamentation. As far as the registration procedure is concerned, applications for designs are very similar to those for trademarks, differing only in some aspects. One of the differences concerns the documentation to be attached to the application. In trademark applications it is only necessary to attach a graphic representation in certain cases, whereas in the case of designs it is always mandatory to attach a graphic or photographic representation of the design. Another difference concerns its description. The applicant, on its own initiative or by notification of the INPI, may submit a description, containing not more than 50 words per product, referring only to the elements appearing in the representations of the design or sample presented, omitting references concerning novelty, individual character or technical value of the design. Once the application for registration has been submitted to the INPI, the formal requirements established in the same Chapter shall be examined within one month. If there are no irregularities or if they are remedied, the application will be published for possible oppositions, and if there are no oppositions the application will be granted. The validity of the registration is five years from the date of the request, and can be renewed, for periods of five years, up to the limit of 25 years. Patents are regulated by Title I, Chapter I of the IPC. Any new inventions involving an inventive step may be subject to protection if they are capable of industrial application, even where they concern a product composed of biological material or containing biological material or a process that allows the production, treatment or use of biological material. The Industrial Property Code further states that any inventions, whether products or processes, in all fields of technology, new processes for obtaining already known products, substances or compositions may be patented. As for the procedure for registering a Portuguese national patent, it is similar to the procedures mentioned above save for a few additional peculiarities. In addition to the application, the applicant must file a description of the object of the invention, the drawings necessary for the perfect understanding of the description, an abstract of the invention and the patent claims of what is new and characterises the invention (i.e., the claims that define the requested scope of protection). If the applicant does not have all the elements stated above at the time of the filing, he or she can submit a provisional patent application, delaying the delivery of these elements by up to a maximum of 12 months; in this way he ensures the priority of the patent application. This provisional application has to be converted into a definitive application, otherwise the application will be considered withdrawn. If the application is submitted under regular circumstances, it will be published in the Industrial Property Bulletin 18 months from the date of submission (or at an earlier date at the request of the applicant), with the transcription of the abstract and international classification of patents. Once the publication has been made, any person may request a copy of the information contained in the application. After the deadline for oppositions has passed, and if none have been submitted, the INPI will take a decision within a month. When the patent is granted, it is valid for a period of 20 years from the date of the application. It should also be noted that applications for European patents may not only be filed at the European Patent Office but also at the INPI. Moreover, where the applicant for a European patent has his or her domicile or registered office in Portugal, the application must be filed with the INPI, otherwise the patent will not have effect in Portugal unless the priority of an earlier application is claimed in Portugal. These applications may be drawn up in any of the languages provided for in the European Patent Convention, in which case the applicant shall have one month from the date of the request to submit the Portuguese the translation of the description, claims and abstract, as well as a copy of the drawings, even if they contain no words to translate, to the INPI. Copyright is defined in Article 1 of the Code of Copyright and Related Rights as work. All intellectual creations of the literary, scientific and artistic domain, that have been somehow externalised will be considered to be work. To be protected, the work must be original and, as a rule, the copyright will belong to the intellectual creator of the work. The registration of copyright in most cases is not mandatory and, therefore, it will not be through registration that the right will be constituted. Its registration is therefore optional and will have declarative effects. This will not be the case unless unpublished work titles, newspaper headlines, or periodical publications’ titles are in question. In these situations, the registration will make the legal protection effective. In case of the registration of the right, the competent authority is the General Inspection of Cultural Activities, a department body attached to the Ministry of Culture. The validity of copyright, as a rule, expires 70 years after the death of the intellectual creator. In most cases, when there is an infringement of intellectual property rights, this infringement will be subject to civil law.8 In such cases, the action must be brought before the specialised court, namely, the Intellectual Property Court. In addition to civil actions, there are also many cases of criminal offences for the infringement of intellectual property rights. When this happens, the competent court will be the criminal court of first instance. The most common cases of criminal offences are cases of product counterfeiting. The INPI is a partner of the Arbitration Tribunal (ARBITRARE), which presents itself as an institutionalised arbitration centre of national scope within the network of Portuguese arbitration centres supported by the state. The existence of this arbitral tribunal causes many disputes to be addressed to it through the INPI or even through the parties concerned. However, there is nothing to prevent other arbitral tribunals from being used. As noted above, the infringement of intellectual property rights may lead to civil or criminal action, thereby leading to the jurisdiction of the Intellectual Property Court or the Criminal Jurisdiction Court. In Portugal, when the violation of the IP right is known, the first reaction of the applicant, either by himself or herself or through an agent, is generally to send a cease-and-desist letter to the infringer stating that he or she should cease the illegal actions under penalty of the applicant having to resort to the appropriate legal means to solve the problem. This notice is not mandatory, but is an alternative means to avoid litigation. If, even after sending the cease and desist letter, the infringer continues to act illegally, the rights holder has the right to bring an action before the competent court. If, on the contrary, the offender accepts the notice, the parties may then try to reach an agreement, for example, through arbitral tribunals. In terms of consequences, the punishment of the offender can be determined according to three types of responsibilities. use in the name or insignia of their establishment or logotype the name or company name belonging to the applicant. In addition to a fine, the offender may still be liable to compensate the rights holder for damages or losses and may be prohibited from practising certain activities. The compensation will be calculated based on the profit obtained by the offender, on the damages or loss of profit suffered by the injured party, taking into account the costs incurred in the protection, investigation and termination of the prejudicial conduct to his or her right. The rights holder may, in certain cases, be compensated for non-pecuniary damages. The court, in its decision, may also determine accessory measures, such as: temporary inhibition on the exercise of certain activities or professions, deprivation of the right to participate in fairs or markets, or the temporary or permanent closure of their establishment. In Portugal, the law provides for different types of sanctions depending on the type of crime committed. use, in their products, services, establishment or company, a registered trademark belonging to another. A penalty of imprisonment of up to 18 months or a fine of up to 120 days, will be applied to those who sell, put into circulation or conceal counterfeit products. A penalty of imprisonment of up to one year or a fine of up to 120 days, will be applied to those who in bad faith, obtain a patent, utility model or design registration that does not legitimately belong to them. The Portuguese legal regime allows for certain types of evidence in court. Regarding intellectual property rights, the IPC expressly provides for measures to obtain evidence as well as measures to preserve evidence. With respect to measures for obtaining evidence, when the evidence is in the possession, dependence or control of the opposing party or a third party, the interested party may request the court to have the evidence produced. At the time of the request to the court, the interested party must justify the existence by providing a sufficient summary of evidence of an infringement of the industrial property rights. As far as measures for the preservation of evidence are concerned, these may be required whenever there is a breach or a fear that the third party will cause serious and difficult-to- repair damage to the industrial property right. Measures to preserve evidence may include a detailed description, with or without the taking of samples, or the actual seizure of the goods suspected of infringing industrial property rights and, when appropriate, the seizure of the materials and instruments used in the production or distribution of such goods, as well as the relevant documents. Since 2012, there has been a specialised court with jurisdiction to deal with intellectual property issues – the aforementioned Intellectual Property Tribunal. This court is currently composed of three judges specialised in intellectual property responsible for all litigation of first instance in intellectual property matters. This will not be the case if litigation is settled by alternative means. The procedure begins with the rights holder lodging an action before the court. These actions comprise the facts and the applicable law, by which the infringement of the right is alleged. It is also at this time that the evidence is attached; however, there is nothing to prevent the court from subsequently requesting additional pieces of evidence. After the lodging of the action by the rights holder, the infringer, may file a response to the action in the same terms as the author did. After an initial assessment of the case by the judge, a preliminary hearing is usually scheduled, and normally, an attempt for the parties to reach an agreement is proposed by the judge. If there is no agreement, any existing irregularities of the process are resolved, the subject matter of the proceedings and themes of evidence are defined and the process will then proceed to trial. It is during the trial that witnesses and experts are heard. Once the production of evidence has been completed and the final allegations have been handed down, the judge assesses the entire process and issues a decision. This decision is later published in the Industrial Property Bulletin. As mentioned in the previous paragraph, when the rights holder sees their right threatened, he should propose an action. Although the action has to comply with the procedural requirements required by law (such as legitimacy, jurisdiction of the court, value of the case, among others), there is no obligation regarding its structure. However, the usual structure is a tripartite structure: facts that underlie the action, grounds of law and, finally, the requests (these are mandatory). The time taken to reach a decision will depend on the type of action that has been proposed. When an action is brought before a court of criminal jurisdiction, the average decision time varies from a year and a half to three years. If it consists of an action of competence of the Intellectual Property Court, it is common to have a court decision up to six months from the date of the action. b) Prohibit the continuation of the violation. The scarcity of available means of justice obliged the national legislator to limit the admissibility of appeals, in particular, to the Court of Justice. Thus, it is possible to appeal the decision of the Intellectual Property Court to the Court of Appeal, but it will no longer be possible to appeal against this latter decision. When the case is of a value higher than the jurisdiction of the Court of Appeal and the contested decision is unfavourable to the appellant in an amount above that court’s jurisdiction. in decisions rendered within the scope of the same legislation and on the same fundamental question of law, against the well-established jurisprudence of the Supreme Court of Justice. As mentioned above,10 arbitral tribunals have a relevant role in the area of intellectual property in Portugal. Arbitral tribunals appear to be the most used alternative to litigation in Portugal. In the Portuguese legal system, the judgment of an arbitral tribunal and the sentence issued by a court of law have the same legal value. If a party fails to comply with the arbitral decision, the opposing party is entitled to appeal to a court of first instance to execute the decision rendered by the arbitral tribunal. The arbitration proceedings have a maximum duration of 12 months. Although arbitral tribunals are most often used, the interested parties may also resort to justices of the peace. However, the justices of the peace are limited by the subject matter of the proceedings. These special instances only have the competence to resolve certain conflicts, for example, those relating to contracts, property and consumption. Usually, the procedure begins with the assignment of a mediator by the Ministry of Justice who will try to get the parties in conflict to reach an agreement. If this is not possible, the case is referred to a justice of the peace.11 The decision of the justice of the peace has the same value as a sentence of a traditional court. Finally, if the conflict has a value higher than €2,500, it will always be possible to appeal to a court of first instance to review the decision. Lastly, mediation is possible. Once again, the resolution of the conflict is dependent on the parties, though there is also a mediator present. The difference between this alternative means of resolution is that here the mediator cannot decide, it is the parties themselves who must reach a decision together. The social phenomenon of entrepreneurship is widespread across Europe, however, we think that in recent years it has significantly increased awareness in Portugal of intellectual property and the importance of its protection. Along with the various initiatives that Portugal has been involved in,12 entrepreneurship has led to a greater awareness of the importance of protecting industrial property rights not only among companies and the public, but also in the government. The measures created to ensure the effective protection of intellectual property rights are evidence of this. Intellectual property is increasingly considered by the population and by companies as an asset and a competitive advantage over third parties. A change has taken place in which intellectual property is assessed at its true value – as a business tool. Proof of this change of mentality can be seen in the changes proposed in the draft revision of the Industrial Property Code that, if approved, will greatly benefit the holders and future owners of intellectual property rights, giving them more means of defence, protection and reaction against infringements of their rights. 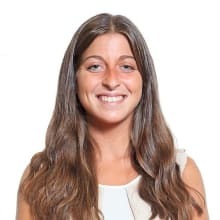 1 Gonçalo Moreira Rato is a partner and Mafalda Jardine Neto is a trainee at SRS Advogados – Sociedade Rebelo de Sousa & Advogados Associados, RL. The authors would like to thank Marisa Coimbra and Natalie Portela – lawyers at SRS Advogados – for their comments on this chapter. 2 Law No. 83/2017, of 18/08; Law No. 46/2011, of 24/06; Law No. 52/2008, of 28/08; DL No. 143/2008, of 25/07; Law No. 16/2008, of 01/04; DL No. 360/2007, of 02/11; DL No. 318/2007, of 26/09. 3 DL No. 100/2017, of 23/08; Law No. 36/2017, of 02/06; Law No. 49/2015, of 05/06; Law No. 32/2015, of 24/04; Law No. 82/2013, of 06/12; Law No. 65/2012, of 20/12; Law No. 16/2008, of 01/04; Law No. 24/2006, of 30/06; Law No. 50/2004, of 24/08; DL No. 334/97, of 27/11; DL No. 332/97, of 27/11; Law No. 114/91, of 03/09; Law No. 45/85, of 17/09; Statement of 30/04 of 1985; DL No. 63/85, of 14/03. 4 This data the data can be found on the following link: https://partilha.justica.gov.pt/Transparencia/Dados-e-Estatisticas#&organismo=inpi. 5 The legal system currently in force in Portugal only provides uniform rules for the European trademarks. 6 In Portugal, although the requests for protection can be made by anyone, the most common way is to resort to a specialised lawyer or to the figure of the agent of industrial property. 8 When we refer to civil law, we are also including in the terminology the misdemeanour law. Normally, this is subject to civil law: unfair competition, misuse of the name, insignia, logo or mark belonging to third parties. 9 Chapter IV, paragraph iii. Obtaining relevant evidence of infringement and discovery. 10 Chapter IV, paragraph i. Possible venues for enforcement . 11 Justices of the Peace can only decide on actions with values of up to €15,000. 12 See the 8th and 9th Editions of Websummit that took place in Portugal.